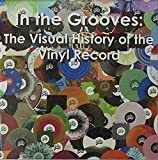 Visually dazzling, this book takes record lovers through the world of unique and creative vinyl pieces featuring shapes and colors that are beyond the tradition of standard black vinyl. Each high-resolution photograph features a life sized record that is truly groovy. Trainspotters may recognize some of their favorite vinyl art pieces, but these records are not identified by artist or label. The focus is strictly on their visual appeal, making this an untraditional collection that will intrigue music buffs and artists who love the unusual. The chapters include picture discs and records with colors, split colors, shapes, splatters, hazes, and swirls. Matthew Fox is an attorney, diligently representing his client’s rights; however, his passion remains in music. He lives in New York City. Ross Shotland is the owner and operator of Enjoy The Rise Records and Enjoy The Toons Records, which are independent, vinyl reissue record labels. He lives in Wantagh, New York.